� 44 It’s totally possible to do this! � 62 What can you run a workshop about? View Encouraging a culture of learning across your organisation on Notist. Workshops are a great way of developing skills and sharing knowledge within your organisation, and they also encourage a culture of learning together. But running a workshop by yourself can seem daunting, especially if you aren’t an expert in the area you want your organisation to get better at. 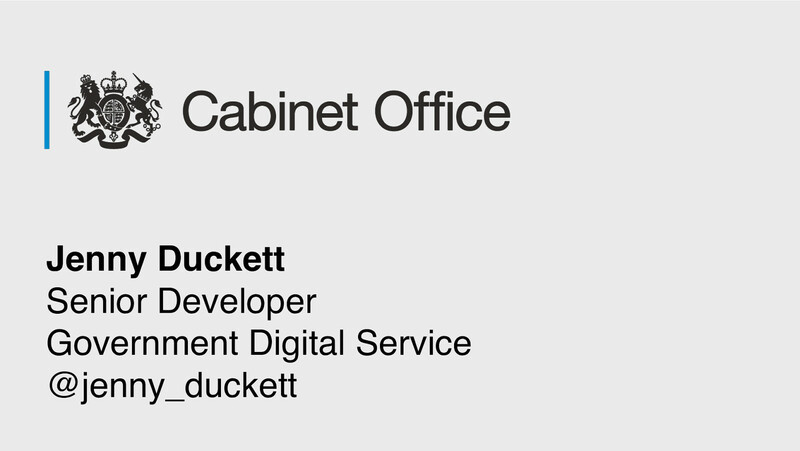 I’ll talk about my experience of running a web security workshop at the UK’s Government Digital Service, what we did to improve our culture of learning and how you can do something similar where you work.